On the first Easter Sunday morning, Jesus’ disciples were taken by surprise. None of them had expected that Jesus would rise from the dead. We may find their surprise surprising. After all, Jesus had told them often enough what He was on earth to do. The gospels tell us that every time Jesus mentioned that He was going to be crucified and then rise from the dead, they didn’t get it. Their incomprehension is understandable for several reasons. The other reason the disciples would have found Jesus’ prediction of His own death and resurrection incomprehensible was cultural. While many Jews believed that there would be a resurrection of God’s righteous people (like the Pharisees), they didn’t believe that one individual could be raised from the dead. 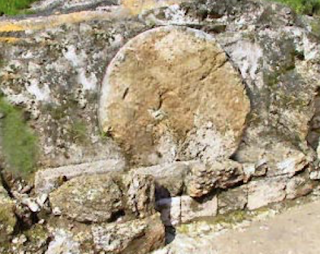 For the Jews, resurrection was a group activity to take place at the end of history. And so, the first Easter Sunday caught the first disciples off-guard. We see that in our gospel lesson, Luke 24:1-12. Let’s take a look at it together. A contingent of Jesus’ female disciples, people who have followed Him since His ministry began in Galilee go on the first day of the week, Sunday, to anoint Jesus’ dead body. This day will also turn out to be “the first day” of a new life for them and all who confess Jesus as their Lord. But they don’t know that yet. Luke’s account of the first Easter begins much as his account of Jesus’ birth began. Just as an angel came to Mary, a young woman who trusted in God, to give the surprising news that she would bear the Savior of the world, on Easter, women who trusted in God were met by two men we will learn later in Luke’s gospel were also angels, to give equally surprising news. If any so-called Christian tries to tell you that women are inferior to me, don’t believe them. A man didn’t give birth to the Savior; a woman did. (Most women will tell you that if birthing were left up to men, there would be no new babies born.) Men weren’t the first ones entrusted with proclaiming the Easter message; women were. The women, overwhelmed by the gleaming angels reflecting the blazing perfection of God, fell to their knees while the angels chastised them. “Why are you looking for a risen Savior in a place for the dead? [It's like the angels are telling them, "Duh!"] Don’t you remember all the times He told you that He was going to rise again?” It’s with this reminder that the women, who had heard Jesus foretell His death and resurrection, remember. Haven’t you had the same experience? You’ve had to be reminded of something repeatedly before you could remember it...and maybe you don't remember even then. In one of his Narnia books, C.S. Lewis tells about an important message being entrusted to a young girl named Jill by the fictional Christ figure of those books, Aslan. Make sure you review what I’m telling you all the time, Aslan tells Jill, otherwise you might forget it. Of course, Jill doesn’t do what Aslan tells her to do and when the time comes for her to remember the message, she’s forgotten it all together. Sometimes, I allow myself to get so caught up in the stuff of life that I forget about God’s promises. Had Jesus’ first disciples spent more time listening to and reminding themselves and each other of God’s Word, they wouldn’t have been so surprised that first Easter. And though God's love for us, its depth and breadth, always is surprising me, aybe we wouldn’t be so surprised by the things that happen to us in this life or so hesitant about following where Jesus leads us if we spent more time remembering God’s Word and God’s promises given through Christ! We need to learn to be less self-reliant and more God-reliant. Faith in the crucified and risen Jesus, the faith that saves us from sin and death, isn’t easy. One of my favorite Christian musicians, Steve Taylor, says simply, "It's harder to believe than not to to." We can’t decide to believe. Faith is a gift from God given to those who are willing to believe, who understand that the notion of a risen Savior is nonsense to a disbelieving world. It will seem like nonsense to us too, unless we leave ourselves open to the Holy Spirit giving faith to us when we’re faced with temptation, despair, adversity, grief, or death. We need be open to letting God surprise us again and again! On Friday night, after the Good Friday service, Sarah and I watched a documentary about the evangelist Billy Graham. It recounted the famous crisis of faith that Graham underwent while preaching under the auspices of Youth for Christ. He was a modern man living in a modern world. How could he believe in the Bible? Graham learned what I have learned and relearned as a disciple of Jesus: If I am open to trusting in Jesus, He will empower me to trust in Him. The Holy Spirit wants to give you a deep, growing faith in the risen Jesus. Are you willing to receive Him by faith today and each day? That’s the question for us all in the face of Christ’s Easter surprise. As many of you know, some forty years ago, God brought me out of implacable atheism to faith in Jesus Christ. It all started when I began to observe the faith in Christ I saw exemplified in the people of Ann's home church. None of them claimed to be perfect. But I saw in them a peace in the face of difficulty and a love in the midst of a crazy world that I needed to understand. As I studied the Bible and listened to the reflections on Christian faith of the people of Bethlehem Lutheran Church, I found myself being tugged toward Jesus. I began praying, even though I wasn't sure that the risen Jesus Who reveals the heart of God to the whole human race was there or real. I told Him that while I didn't yet believe, I was willing to believe. I don't know the exact hour or minute, but I do know that God heard that prayer. I fell in love with Jesus and I came to know that He wanted to save me from myself, my sins, my self-reliance. He made me see that going my own way--relying on own thoughts, my own will, my own heart--was, in the words of another song, "the highway to hell." He began to help me trust in the crucified and risen Jesus, "the way and the truth and the life," to receive forgiveness of my sins and for new life through Him. Faith in the risen Christ happens and is made stronger when God's grace meets our open minds, open wills, open hearts, whether as infants at the baptismal font or as needy sinners at the Communion altar. It happens when, by the power of the Holy Spirit, we gladly hear and learn the good news of new life through Jesus. It's not a matter of doing anything, any more than it was for the first Christians. It's a matter of doing nothing and letting God do it all! The gospel lesson ends with Peter still not believing that Jesus was risen. That would come later. For me, knowing that the first disciples were skeptical about the resurrection is evidence that Jesus did rise. 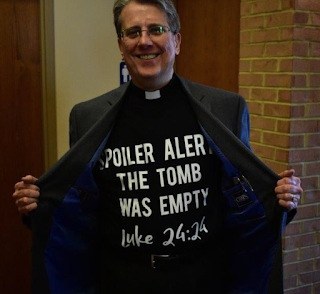 If Hollywood had written the gospels, all of the disciples would have been waiting for Jesus to emerge from His tomb and immediately believed in Jesus’ resurrection and, without doubt or evidence, begun to tell the world. But it took time for their faith to get to that point. Jesus had to show Himself to them. He had to teach them some more. He had to send His Holy Spirit after He had ascended to heaven to help them remember so that they, in turn, could tell us so that we can remember. The initial mystification of the first disciples on the first Easter has about it the whiff of authenticity, telling me that they came to believe in the risen Jesus against their own worldly judgment in the face of seeing the risen Jesus, eating with Him, hearing Him, talking with Him, touching Him. 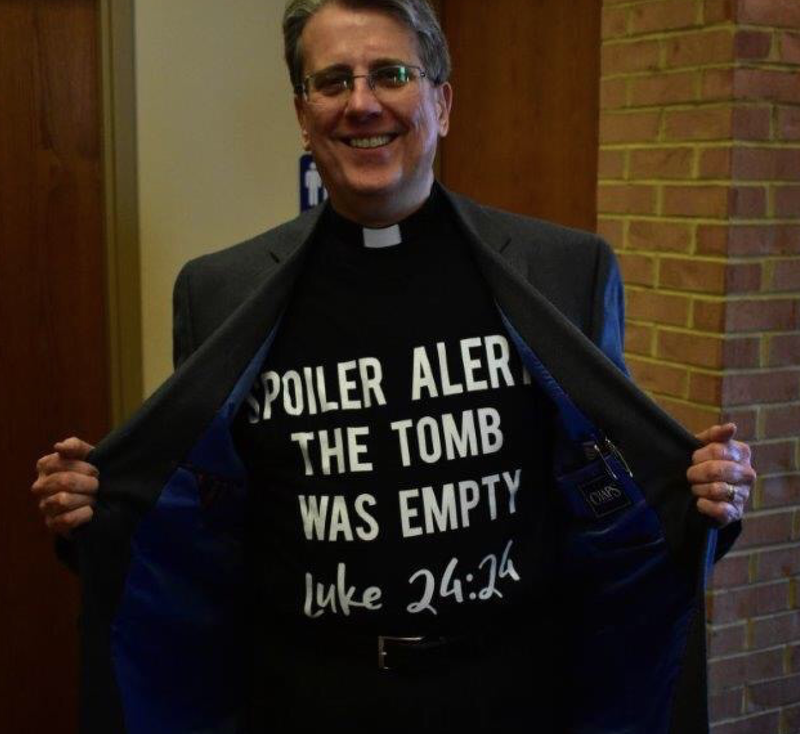 The honesty of the gospels in telling us that the first disciples didn't originally think that the resurrection was true or even possible, tells me that because these skeptics came around, I can believe in Easter too! *Although they had seen Jesus call several people back from the dead. In The Language of God, Collins, director of the human project, talks about how his life in the science of genetics, led him to faith. Imagine the grief of Jesus' disciples on the first Holy Saturday. Not only had they lost their leader and friend, they also lost their version of the Kingdom of God. They thought that Jesus had come to give them worldly ease and vindication. That, rather than surrender, repentance, and trust in Christ as the way of restoration and new life, is what they thought the kingdom of God was. They saw themselves as basically good people who deserved the help of the good God they met in Jesus. Jesus insists that all of us who descend from the first human beings are born in sin and in need of His salvation (Psalm 51:5; John 14:6). Repentance and faith in Christ are the means by which the kingdom of God comes to us, not through the assertion of coercive power or the passage of so-called godly laws. The first disciples didn't understand, as we often don't, that our greatest enemies aren't other people. Our enemies are our sin, our death, and our darkness. Jesus had to conquer these enemies by offering His sinless life as a sacrifice for us in order to conquer them. On the first Holy Saturday, the first disciples too, were filled with fear, certain that now that the world had killed their leader, it would kill them. Of course, the world would and still does kill people for following Jesus. We are all part of a human race that shares the ambition that drove Adam and Eve to eat of the fruit from the tree of the knowledge of good and evil, the desire to "be like God." To "be like God" or to "be our own bosses," we're prone to push the God we know in Jesus out of our lives or put Him on the margins as a good luck charm we can pull out when we're finding it hard to get what we want. Our impulse like that of the renters of the vineyard in Jesus' parable who said of their master's son, "This is the heir. Let’s kill him, and the inheritance will be ours (Luke 20:14)." We want to wear our own crowns. But Jesus won the crown. He has the "name above all names." This happened when He died for the whole human race. Jesus is the only way to God, to life with God, to membership in His kingdom in which we are made right with God, with ourselves, with others. At least that's what Jesus claims: "I am the way and the truth and the life. No one comes to the Father except through me (John 14:6)." On this Holy Saturday, on the other side of Easter, the day when Jesus rose from the dead, we know all of that. We know the truth of His promise: "I am the resurrection and the life. The one who believes in me will live, even though they die; and whoever lives by believing in me will never die (John 11:25-26)." But even now, we wait. In a world still reeling under sin, death, and darkness, we wait for the final consummation, when the risen, ascended Jesus returns and brings His kingdom finally, fully into being. Until then, we can know that we are part of this kingdom of grace and love as we daily turn from sin and trust in Christ as our King, God, and All. And we can pray with all believers of every time and place, "Come, Lord Jesus." He will answer that prayer any time we offer it.